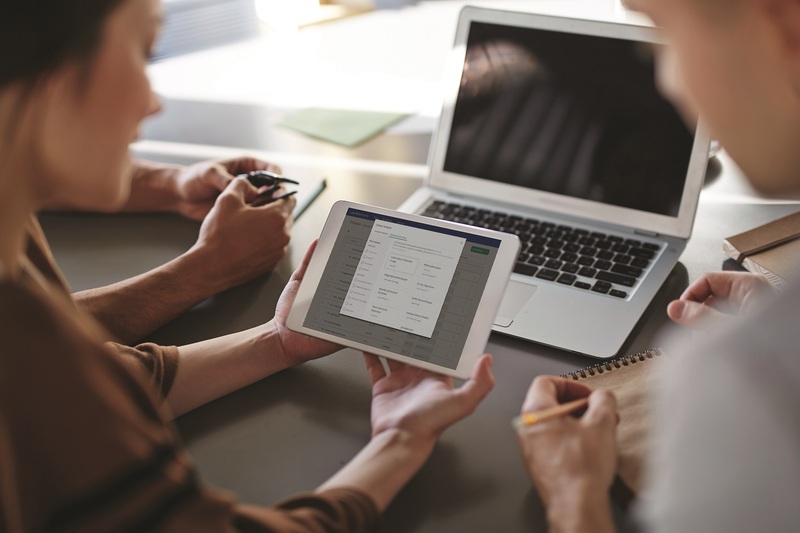 The Laserfiche Mobile app lets you capture, upload and securely access documents inside your Laserfiche repository. When you use the app to capture images, it also records the image’s geotag coordinates. These coordinates allow you to see the location on a map where images were captured. For example, Bob travels a lot for work and is always collecting receipts to attach to his expense reports. With the Laserfiche app, he can take pictures of the receipts when he first receives them and they are stored to his repository with geotag coordinates. Later, he can use the handy Open in map application option to remind himself exactly where he was when he got the receipt. Additionally, he uses the app to snap photos during site inspections, track deliveries, and capture posters at conferences. The app is available for iPhone, iPad, and Android. 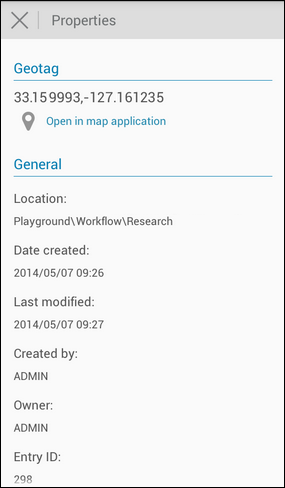 Additionally, the Android app has a widget for adding documents, gallery images, and camera photos to your repository. With the widget, you can capture documents and images without logging into and navigating the app. If you turn on Location Services for the Laserfiche App, captured images will have geotag coordinates in their document properties and, optionally, in a pre-defined metadata field. Learn more. The document’s properties include an option to view the capture location on a map. By tapping Open in map application, you can see exactly where the image was captured. Additionally, with Laserfiche Workflow you can gather geotag coordinates from multiple documents to use with mapping software. Learn how a city uses Laserfiche Mobile geotags to fight graffiti. Tip: When saving images to your repository, use the image compression option to reduce your data usage.